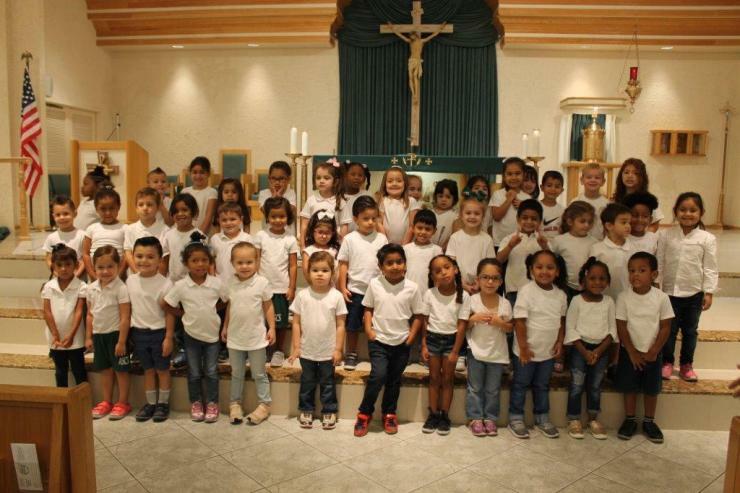 The littlest tots at All Saints School in Sunrise pose for a photo in their dress down attire, a white T-shirt and jeans, to mark the archdiocese's 60th anniversary. 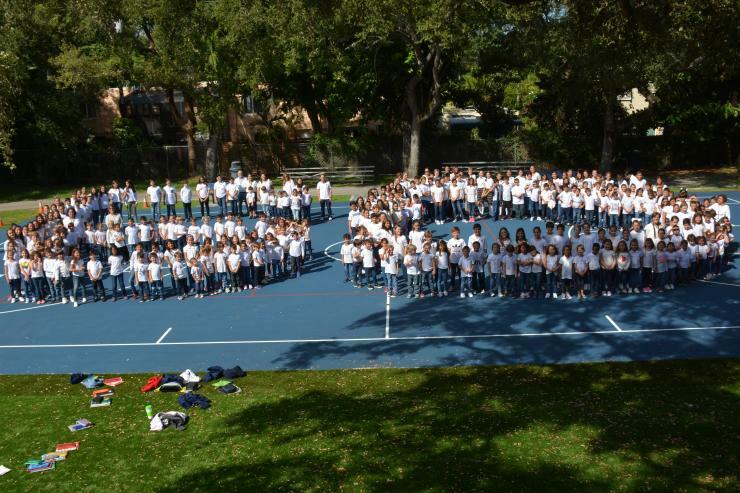 Eighth-graders at All Saints School in Sunrise pose for a photo in their dress down attire, a white T-shirt and jeans, to mark the archdiocese's 60th anniversary. 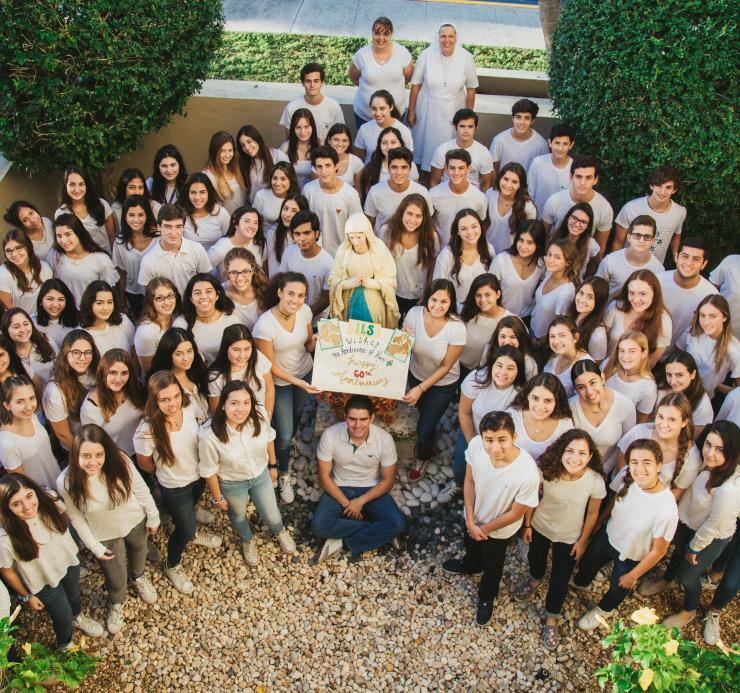 Students from Immaculata-La Salle High School in Miami join Salesian Sister Kim Keraitis, principal, to wish the Archdiocese of Miami a happy 60th anniversary. The day also raised $ 1,000 for archdiocesan scholarships. 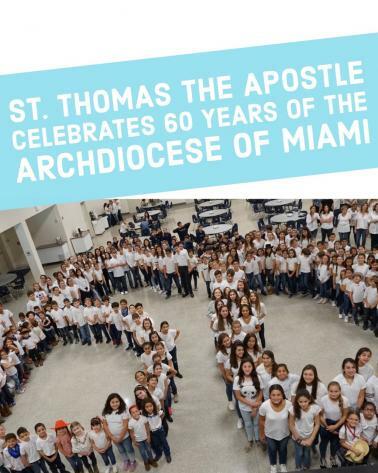 Students at St. Thomas the Apostle School in Miami wish the Archdiocese of Miami a happy 60th anniversary. 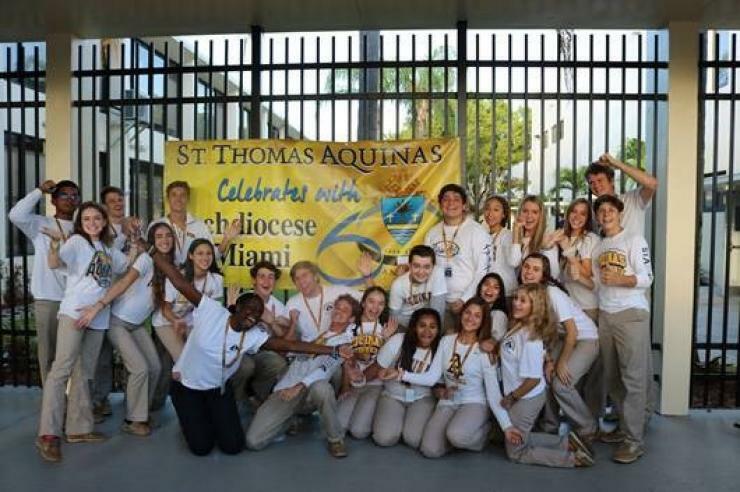 Student Council officers at St. Thomas Aquinas High School in Fort Lauderdale welcome their fellow students as they enter the building Oct. 5 in anticipation of the Archdiocese of Miami's 60th anniversary. 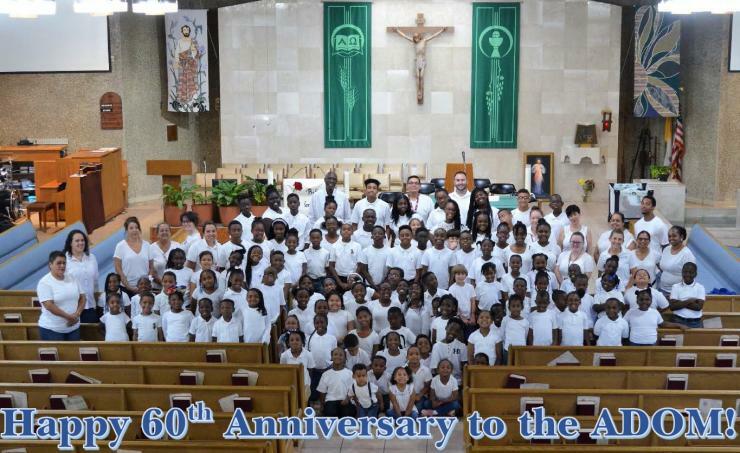 Students and faculty at St. Bartholomew School in Miramar wish the Archdiocese of Miami a happy 60th anniversary. 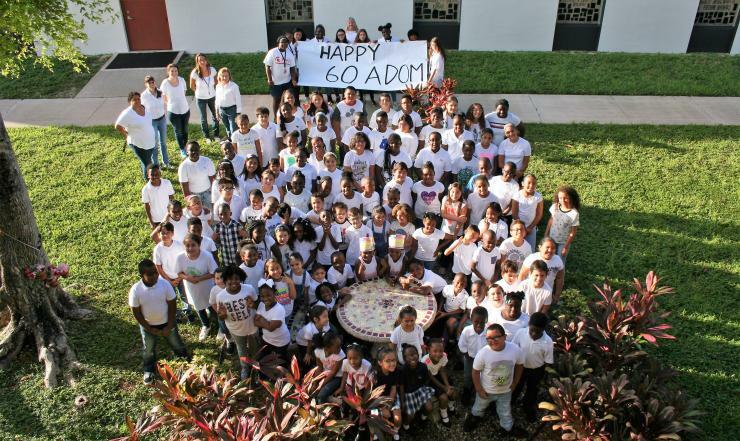 Students at St. Hugh School in Coconut Grove wish the Archdiocese of Miami a happy 60th anniversary. Teachers at St. Lawrence School in North Miami Beach wish the Archdiocese of Miami a happy 60th anniversary. Students and staff at St. Lawrence School in North Miami Beach wish the Archdiocese of Miami a happy 60th anniversary. 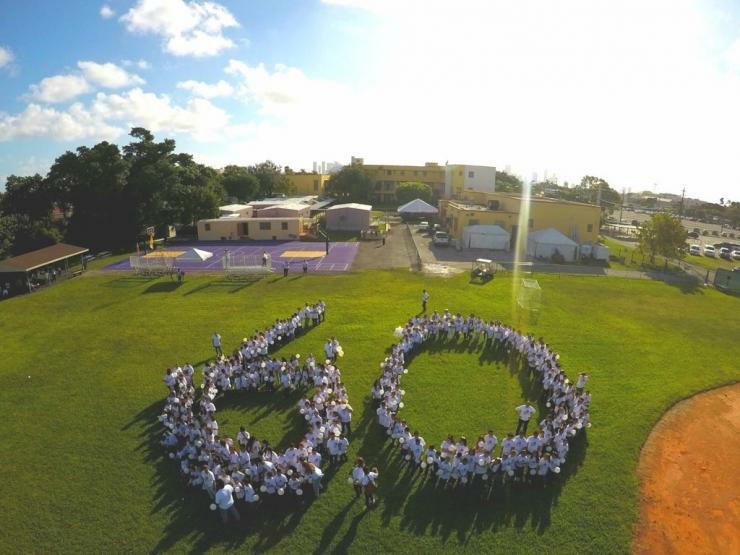 Students at St. Michael School in Miami used a drone to take this shot, wishing the Archdiocese of Miami a happy 60th anniversary. 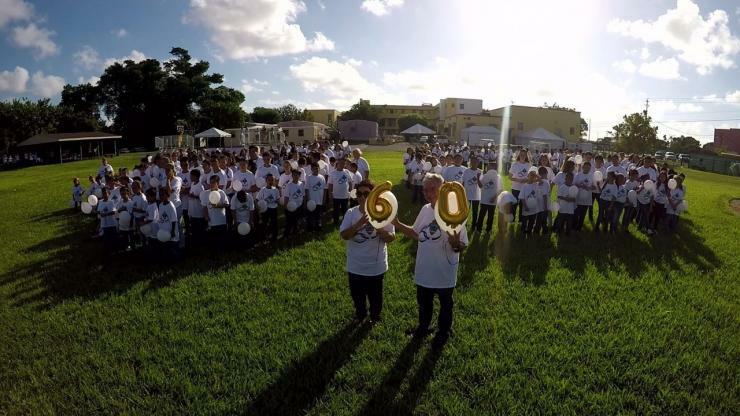 Principal Carmen Alfonso and Pastor Father Gerardo Diaz, of St. Michael School in Miami, hold up number balloons to wish the Archdiocese of Miami a happy 60th anniversary. 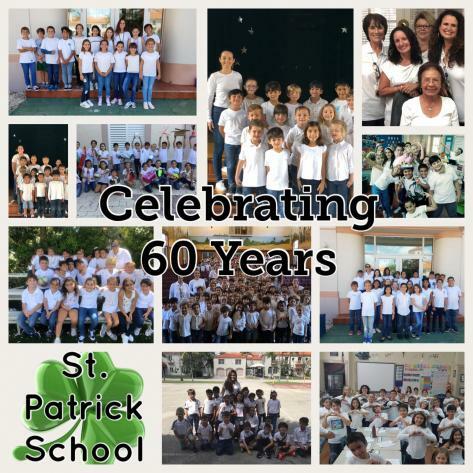 This collage captures the celebration at St. Patrick School, Miami Beach, for the archdiocese's 60th anniversary. Students at Sts. 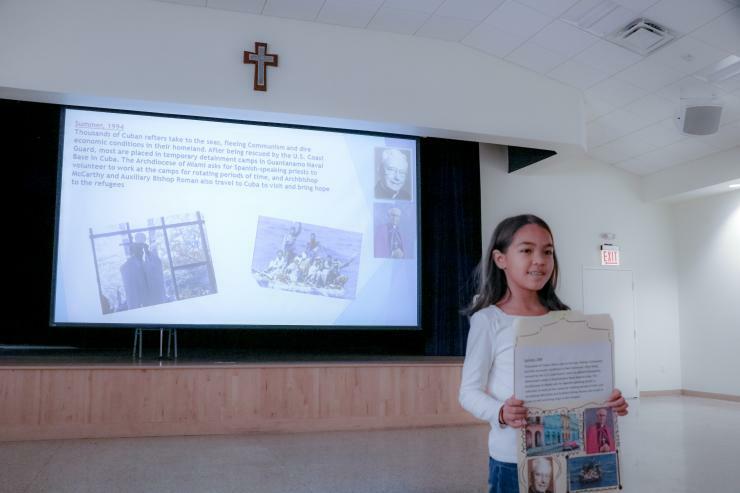 Peter and Paul School in Miami brought archdiocesan history to life using photos and posters to mark the archdiocese's 60th anniversary. Students at Sts. 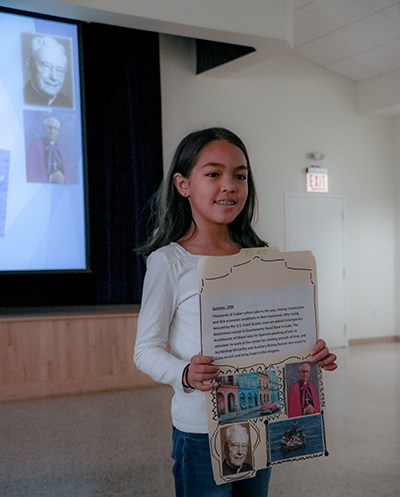 Peter and Paul School in Miami brought archdiocesan history to life using photos and posters to mark the archdiocese's 60th anniversary. 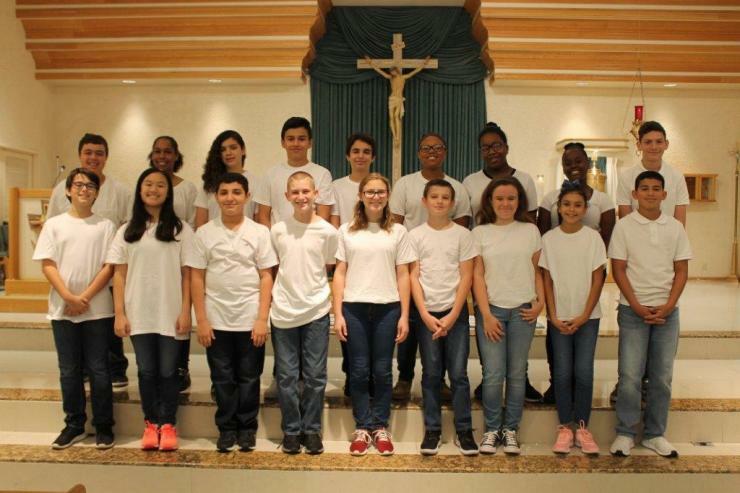 MIAMI | Archdiocesan schools got in on the archdiocese's 60th anniversary celebration by taking part in a dress-down day Oct. 5. The colors of the day were white T-shirts and blue jeans. Students at Sts. 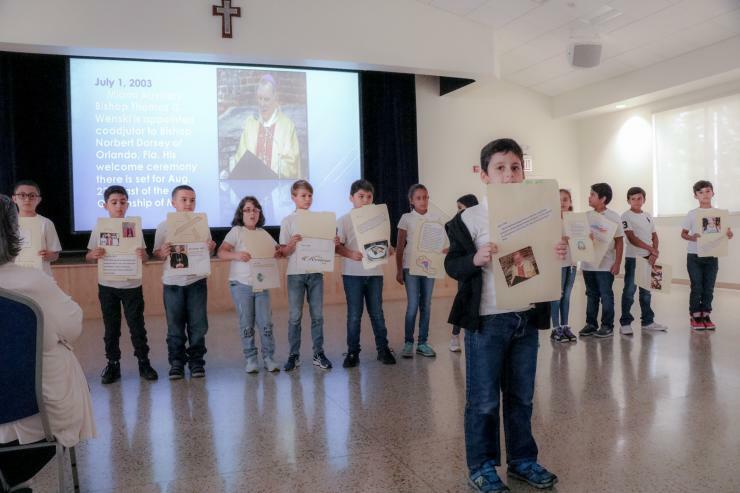 Peter and Paul School in Miami brought archdiocesan history to life using photos and posters to mark the archdiocese's 60th anniversary.